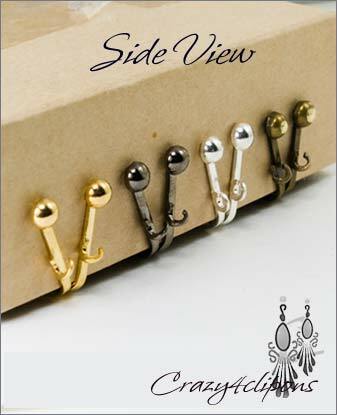 Features:These 4mm hinged type clip earring findings are very popular. They are slim and easy to wear. This set is great for your DYI projects or to fix, convert or replace broken clips findings from your existing earrings. 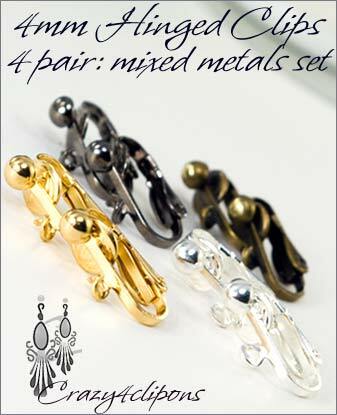 They work really nice with your dangles - as long as the earrings have a top loop to hook to. 2 sets = $29.99 - you get the second set half 50% OFF! !